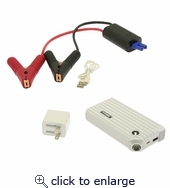 This "GO-POWER" Power Bank combines 3 different functions: a car jump starter, a 5V USB charger, and an LED flash light into one compact design that can easily fit inside the glove box. It is a must have tool for all your charging needs. 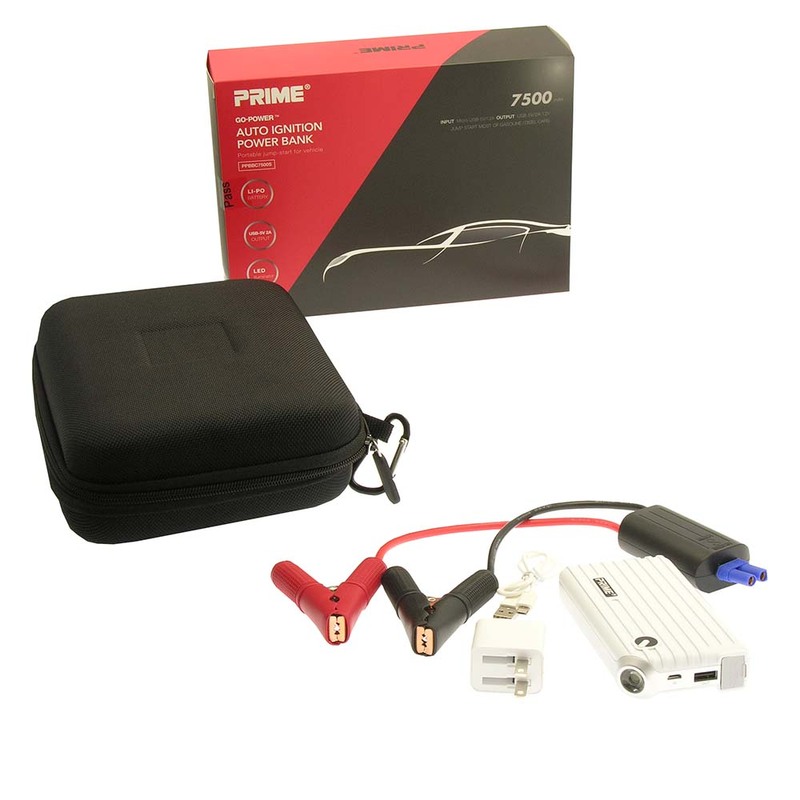 Easy-to-Use Car Jump Starter Use the "GO-POWER" Power Bank with the jumper cables to start your car battery in a matter of seconds. Keep it in the glove box at all times and you can use it multiple times. It can start gasoline cars with up to 3.5L engine, and diesel vehicles with up to 2.5L. 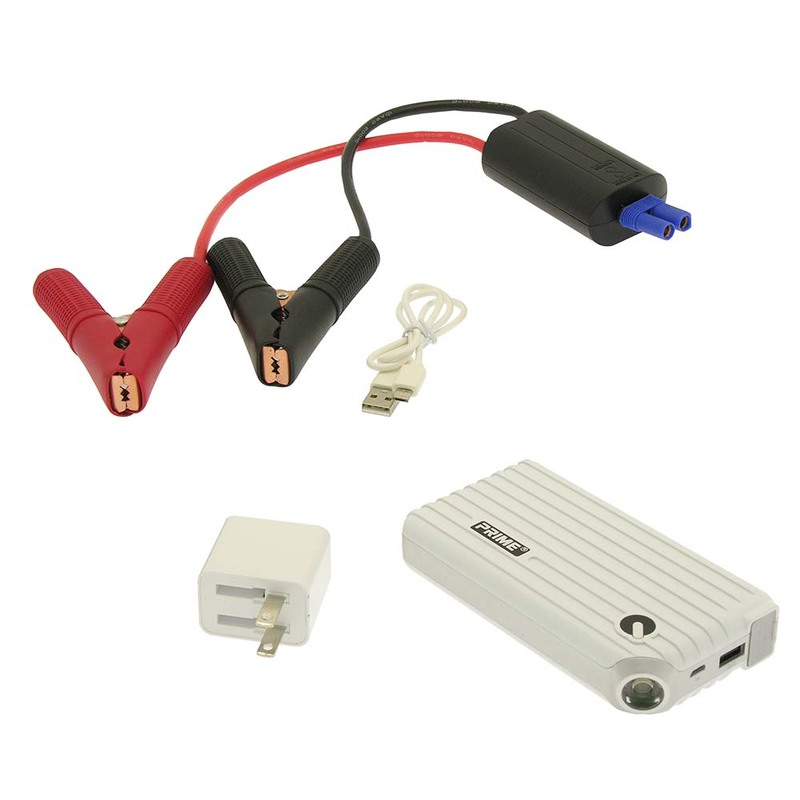 USB charger The "GO-POWER" Bank is equipped with a DC5V 2A USB port that will charge your portable devices, such as smart phones, tablets, cameras, MP3 players or any mobile devices with USB rechargeable battery. Once fully charged it will automatically go into sleep mode to preserve the battery. 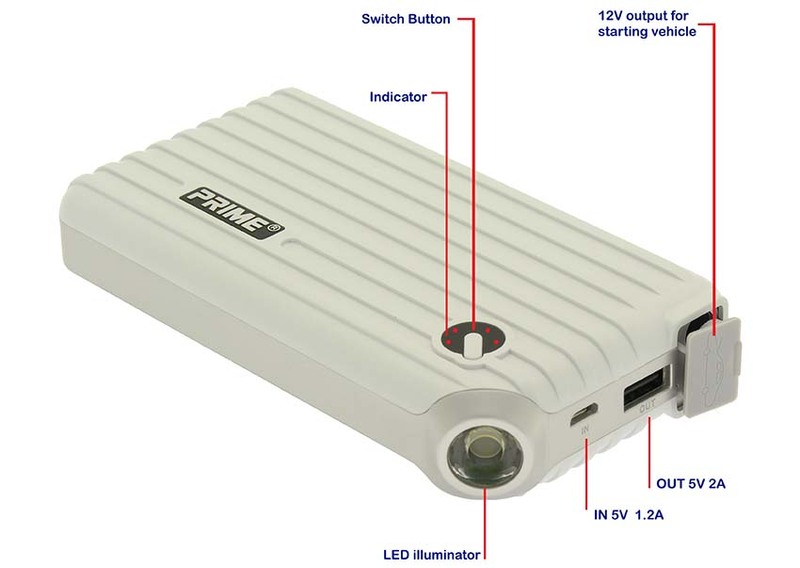 Portable LED Flash Light for the Outdoors The super-bright LED flash light has 3 illumination modes, a flash light when you are in the dark, a strobe light to attract attention, and an SOS signal (Red/Blue strobe) that will last up to 100 hours on a full charge.